VMware Horizon 7 version 7.8 provides the following new features and enhancements. This information is grouped by installable component. You can use Horizon Console to initialize the Cloud Pod Architecture feature, join pods to the pod federation, and create and manage global entitlements, sites, and home sites. You can use Horizon Console to recreate and restore linked clones with persistent disks. In Horizon Console, the Cancel task option is available for linked-clone operations. You can use Horizon Console to create automated linked-clone farms. You can use Horizon Console to configure Horizon Connection Server and set up user authentication. You can use Horizon Console to configure role-based delegated administration. You can use Horizon Console to configure policies for client sessions. You can use Horizon Console to create and configure shortcuts for published desktop or application pools. After users use True SSO to login to the desktop, they can unlock the desktop after reauthentication from the Workspace ONE portal using the same True SSO logon credentials. When users log in to a Horizon 7 version 7.8 Connection Server from Horizon Client, they might need to enter a domain in the User name text box, for example, domain\username or username@domain.com. Depending on the server configuration, the Domain drop-down menu might be hidden, or it might contain *DefaultDomain*. For details, see the information about the Send domain list and Hide domain list in client user interface global settings in the VMware Horizon 7 Security document. When users log in to a Horizon 7 version 7.8 Connection Server from Horizon Client for Windows, they might need to enter credentials even though they have enabled the Logon as current user setting. A new configuration setting determines whether a Connection Server will accept the Logon as current user setting. For details, see the information about the Accept logon as current user setting in the Horizon 7 Administration document. 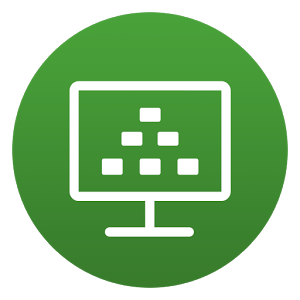 For more information on configuring Horizon Connection Server version 7.8 domain settings to work with Horizon Clients earlier than version 5.0, see the VMware Knowledge Base article https://kb.vmware.com/s/article/67424. Horizon Agent for Linux is now supported on desktops running the RHEL 7.6 or CentOS 7.6 distributions. Beginning with Horizon HTML Access version 5.0, the multi-monitor feature is supported in Horizon 7 for Linux desktops. Horizon 7 version 7.8 supports smart card redirection on Linux desktops running RHEL 7.1 or later. This feature allows client users to authenticate into a Linux desktop using a smart card reader connected to the client system. Horizon 7 version 7.8 supports True SSO on Linux desktops running Ubuntu 16.04 or 18.04, SLED 12.x SP3, or SLES 12.x SP3. When an administrator enables this feature, a client user can invite additional users to join a Linux remote desktop session in read-only mode. Only the primary user can access controls on the remote desktop. Additional users can view the desktop but cannot control or make changes to it. NVIDIA vGPU is now supported on Linux desktops running SLED 12.x. You can now use regular expressions when you create URL Content Redirection rules. See “Regular Expression Rules That URL Content Redirection Supports” in the Configuring Remote Desktop Features in Horizon 7 document. Smart card authentication is now supported with UWP apps, such as Microsoft Edge, in remote desktops. VMware Integrated Printing offers a finishing option (staple, booklet) for specific redirected printers. The new URL Content Redirection Url Redirection IP Rules Enabled group policy setting enables you to configure IP address and IP address range filtering for the URL Content Redirection feature. The new VMware Horizon Client Drive Redirection ADMX template file (vdm_agent_cdr.admx) contains group policy settings related to the client drive redirection feature. The Display redirected drive with drive letter setting enables you to configure drive letter behavior, and the Timeout for drive letter initialization setting enables you specify how long to wait for Windows Explorer to initialize and display drive letters for redirected drives. For information about new features in Horizon Client 5.0, including HTML Access 5.0, see the release notes on the Horizon Clients Documentation page. You can set a password expiry policy for the root user for the Horizon Cloud Connector virtual appliance. Instant clone desktop pools support NSX-t network segments. For a list of Horizon 7 features supported on VMware Cloud on AWS, see the VMware Knowledge Base article 58539.